Snow surrounded a car on Morrissey Boulevard during the blizzard of ‘78. UPDATE (1/27/15): This week’s storm dropped at least 24.6 inches of snow in Boston, which means it will be no less than the sixth-biggest snowstorm in the city since records have been kept. Now nine storms have dropped more than 20 inches of snow on Boston since 1935, according to the National Weather Service in Taunton. The all-time record is the 27.5 inches that fell Feb. 17-18, 2003. The Blizzard of ’78 is second, with 27.1 inches. Totals are based on snow measurements at Logan Airport. Feb. 17-18, 2003: This Presidents’ Day Weekend storm set the record for the greatest snowfall in a 24-hour period, but its impact on metro Boston was nowhere near as bad as the Blizzard of ’78. The snow was dry, it occurred on a weekend, forecasters gave plenty of warning, and most roads were cleared by the next day. 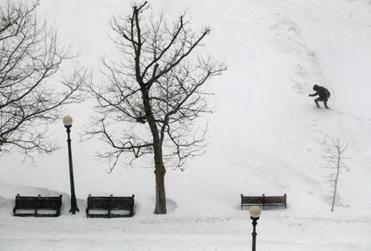 Feb. 6-7, 1978: The infamous Blizzard of ’78 was exceptional for its severity and bad timing. To make matters worse, there had been another blizzard 17 days earlier that dumped close to 2 feet of snow on metro Boston. Most of that was still on the ground when the Feb. 6-7 storm hit. The storm dumped nearly three feet of snow in some areas of the state. Feb. 24-27, 1969: This killer storm was blamed for 94 deaths as forecasters greatly underestimated its duration. In Boston, it snowed for a record 101 consecutive hours. New York City fared even worse, and that city’s poor snow-removal response nearly wrecked the political career of then-Mayor John Lindsay. March 31-April 1, 1997: On March 30, temperatures in Boston were in the 60s. The next day the massive April Fool’s Day blizzard hit, dumping nearly as much snow in two days as Boston had received all the rest of that winter. Feb. 8-9, 2013: The Blizzard of 2013 hit New England with hurricane winds, destructive tides, and more than 30 inches in some places. Governor Deval Patrick took the unusual step of banning traffic from Massachusetts roads early in the storm to aid cleanup. Jan. 26-27, 2015: The storm paralyzed Boston and the region for a day, closing roads and transit. Because it was a light snow, there were fewer power outages than expected. High tides damaged some South Shore communities, but did not cause widespread devastation. Jan. 22-23, 2005: The Blizzard of 2005 delivered a staggering blow to much of Eastern Massachusetts, dropping more than 3 feet of snow in some places on the North and South shores and whipping it into towering drifts with howling gusts that topped 80 miles per hour. It happened on a weekend, which helped minimize the impact on businesses and schools. Jan. 20-21, 1978: The “other Blizzard of ’78” hit two weeks before the famous storm of Feb. 6-7, and left huge drifts and snow piles that made the cleanup of the later blizzard nearly impossible. March 3-5, 1960: This huge storm dumped more than 10 inches of snow on states from Virginia to Maine. Coastal New England, including Boston, was particularly hard hit. Road and rail traffic ground to a halt. Boston received 19.8 inches, a record at the time, but higher totals were registered elsewhere in the state, including 31.3 inches on Nantucket. 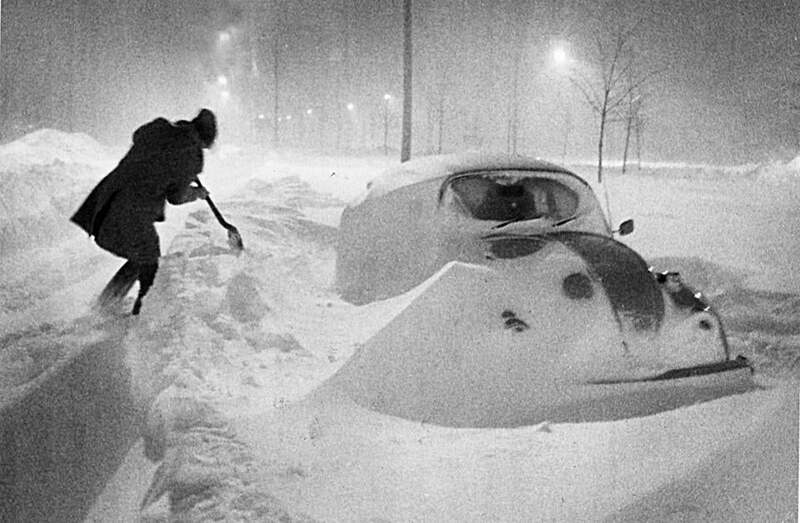 Feb. 16-17, 1958: The second of two huge storms in a month hit most of New England hard, and caused a then-record snowfall of 19.4 inches in Boston. Bitter cold and high winds for days afterwards slowed cleanup. All in all, the storm was blamed for 43 deaths and half a billion dollars in damage.